Where are they? Make sure you know your pets’ whereabouts! Check to see that no pet is sleeping or lingering around your garage door before opening/closing it. It also helps if you know your pets’ habits. Do you have a cat who likes to sleep in your rafters? Do you have a dog who likes to run around the garage before/after a car ride? It’s always worth a second look to know your pets’ whereabouts. 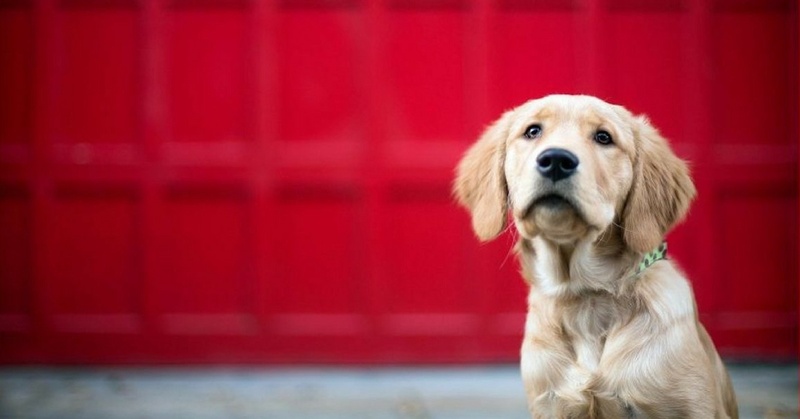 Is a pet door a good idea? Installing a pet door in your garage will provide your pet(s) access to your home without creating an unsafe situation. While it’s possible to keep your garage door cracked to provide access, doing this will prematurely wear down your garage door components. Where are they? As mentioned with your pets, know your child’s whereabouts before raising and lowering your garage door! Similarly, double check that none of their toys or other items belonging to your children are in the path of the garage door. 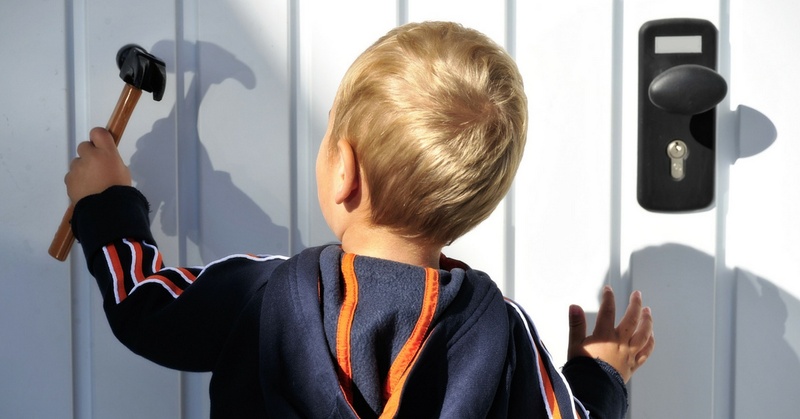 It’s never too early to instill in your children the importance of garage door safety. What’s the quality of my garage door? Make sure you purchase a quality, dependable garage door from the start! Trusted brands provide a track record of safety and success regarding their operation and safety features. When’s the last time I serviced my garage door? We recommend setting up regular maintenance appointments once or twice a year to ensure your safety features are working, as well as repair any damaged hardware and run several other diagnostic tests. You can always contact our team for a FREE diagnostic! Can my kids access the garage door opener? It’s imperative to install the garage door opener out of reach of children. This tool is not a toy and it’s important to teach this lesson to your children. Are there any other visible dangers? Garage doors are not the only cause of injuries in the garage. Make sure to store your tools are safely stored away, your electrical outlets have covers and any hazardous substances are safely locked away. If there are any sharp edges, try to safely cover, the same as you would with similar edges inside your home. With the garage being the largest entry into your home, it’s one, if not the most important door to keep secure. Luckily thanks to smart home technology, name brand companies such as Liftmaster have designed WIFI enabled garage door openers that alert you every time your garage door is accessed. Through the myQ Smart Home app you can monitor your garage from the tips of your fingers. No more leaving a hidden key under the door. Instead, open & close your garage from anywhere. Contact Easy Lift Door Company for information on Liftmaster smart home openers & accessories. While there are many possible dangers associated with garage doors, with the proper attention and maintenance you can ensure that your children and pets remain safe at all times. Remember, your garage door is a valuable and powerful tool within your home! If you have any maintenance needs, Easy Lift Door Company is the trusted garage door expert for all garage door needs. We provide FREE diagnostics, so please don’t hesitate to contact us today!